Biography of renowned phytopathologist, scientist, technologist, inventor, salesman, and teacher, Nathan A. Cobb. 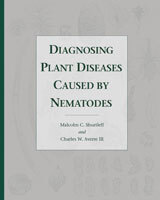 This book is a retrospective of the career of Nathan A. Cobb, pioneer phytopathologist, who lived from 1859-1932. It showcases his drawings, which gave added form and direction to nematology in the United States. Sample topics include a historical perspective to Cobb's career, his development as an illustrator, methods of research, plans for the first nematology laboratory, and an examination of the establishment and growth of the USDA Nematology Laboratory. This book also presents more than 100 historical drawings. Some figures represent some of the best images in microscopical natural history that might be found in the science texts of Cobb's time. The intent of this volume is to present a retrospective view of Nathan Augustus Cobb as an artist, rather than another biographical sketch of his life, a task so admirably performed by his daughter, Frieda Cobb Blanchard. In lavishly illustrated publications, N. A. Cobb demonstrated an artistic creativity which may have been overlooked by most plant pathologists. This volume attempts to correct that oversight, offering illustrations that span his lifetime. Biographical information included puts his art in historical perspective. In reading of his career, one becomes aware of his many other talents. He was a renowned scientist, technologist, inventor, salesman, and teacher. Therefore, in emphasizing art, this book presents one facet of his life. The reader will leave with one impression of a multifaceted individual.